Want to Transfer Samsung Audiobooks to Computer? Click Here! Home> Resource> Android Backup> Want to Transfer Samsung Audiobooks to Computer? Click Here! "I want to transfer many files like the audiobooks, videos, contacts from Samsung to computer, because I want to listen to the audiobooks and watch the videos on computer. At the same time, the files transferred to the computer can be saved as the backup so that I will no longer worry about losing data. But the files in a smart phone cannot be transferred to the computer by a USB cable simply. So could you please offer me some efficient method to transfer Samsung files to computer? Thank again!" Different from traditional mobile phone which allows you to transfer files from the device to computer directly with the USB cable, the smart phone contain too many files so it will be messy and frustrating to transfer the files from mobile phone to computer without a professional software. So here we recommend you a wonderful software - MobiKin Android File Transfer (Windows & Mac), which is highly estimated by its users. Here comes the brief introduction of the software. 1. The software can support almost all brands of Android phones including Samsung, Motorola, HTC, ZTE, Sony, Nexus and so on. 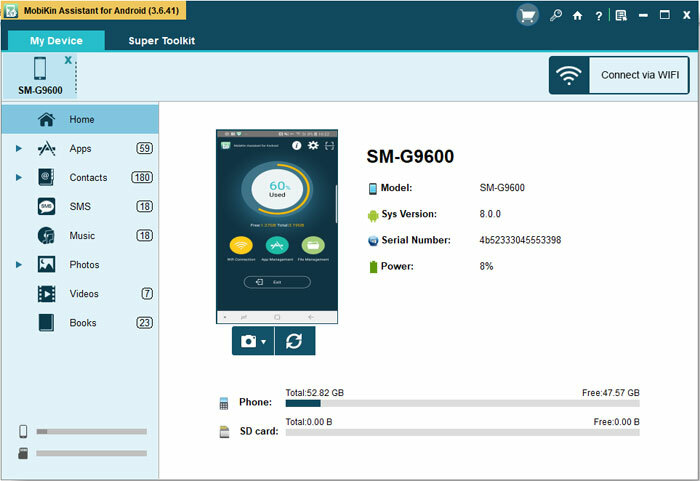 With high compatibility, the software can be applied on all generations of Android operating system from Android 2.0 to Android 5.0 or later. 2. 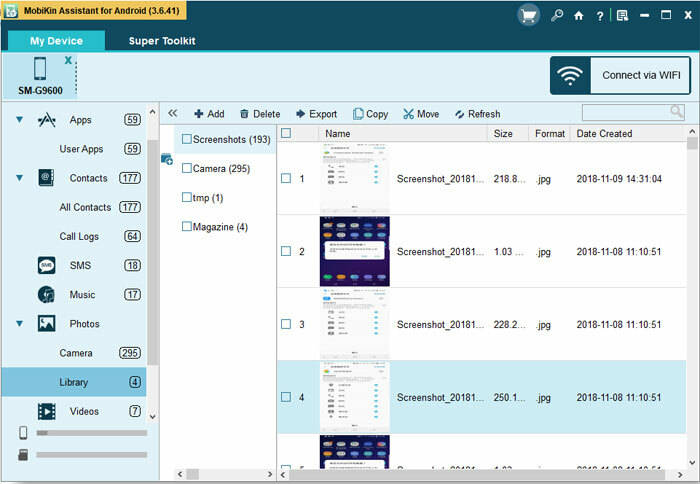 The software can detect the connected device automatically and scan the files in it deeply. The files it can transfer include photos, books, music, contacts, SMS messages and so on. 3. The program is easy to operate and it enables the users to transfer many files within 3 steps and one click. 4. You can also manage the application that you installed on Android phone as you like. You can export or install various applications on computer by several clicks. 5. The software is 100% clean without any malware like spyware, adware or viruses. So you need not to worry that the personal information may be leaked out or you will see the annoying advertisements in the software. You can download the free trial version by clicking the icons below to experience the functions. How to Extract Audiobooks from Samsung to Computer? 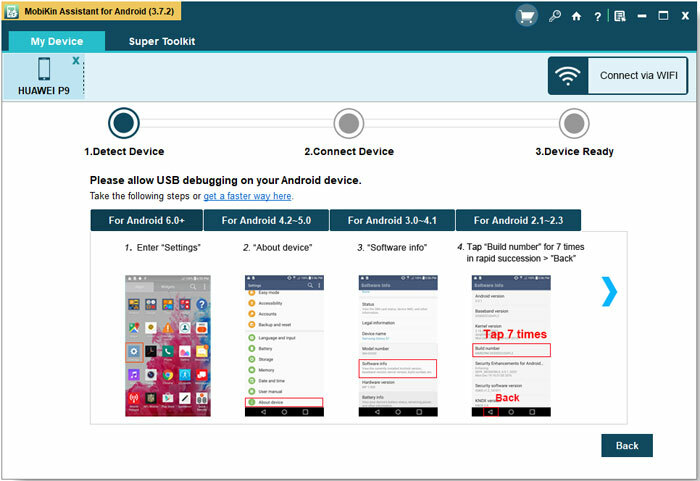 The guide will take the Samsung phone and audiobooks as the example, actually the processes of transferring diverse files from different Android phones to computer are similar so you can refer to the guide below. Tick "USB debugging opened" and click "Next" to install the USB driver on your computer then. The software will detect the connected Samsung and scan the files in it after the USB debugging. You will see an interface like this with many categories list on the left column. Since the audiobooks are audio files, it will be saved in the music folder. So you can click on the Music option on the left panel to preview all the audio files on your Samsung on the right panel. Mark the files you want to transfer and click the Export button on the top panel. Besides, you can click the Add or New button on the top panel to transfer files from computer to your device. If you click on the Delete button, the marked files will be erased at once. Want to Export Ebooks from Nexus to PC? Click Here to Know the Best Method! How to Perform Android File Transfer Easily with Wi-Fi?